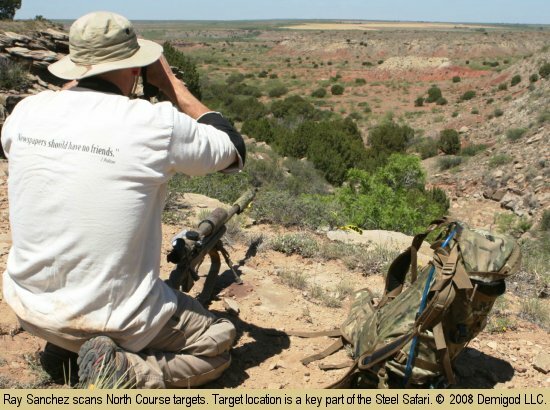 Zak Smith, an experienced practical/tactical shooter and 3-gun competitor, has prepared a video of the 2008 Steel Safari. This match is a unique test of practical shooting skills, conducted in “wild” field environments. Competitors must range and make shots at unknown distances, and sometimes at extreme angles. As you have to cover significant distances carrying rifle and gear, the match can also be a physical challenge. This is certainly no Benchrest match! The Steel Safari demands a variety of practical rifle skills, including target recognition, range estimation, wind doping, trail skills, and marksmanship. Competitors must navigate through rugged terrain, then locate and range targets, and make first-round hits in often difficult field conditions. To learn more about the Steel Safari, visit Zak’s website, www.DemigodLLC.com, and read his MATCH REPORT. If you enjoyed the match highlights video, you’ll also enjoy Zak’s “Bloopers” video. 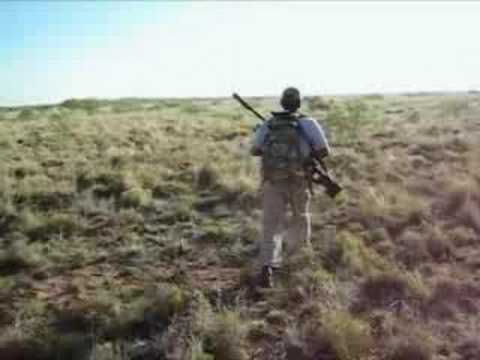 In this compilation from the Steel Safari, you’ll see a variety of firearm malfunctions in the field. Thankfully, none of the problems caused injury, but in this video you’ll see bolt actions that refused to feed or eject, or simply wouldn’t go bang. If you think bolt action rifles are fool-proof, this “bloopers reel” may change your opinion. Watch the video and you’ll see that even $4,000+ rifles sometimes give their owners fits. 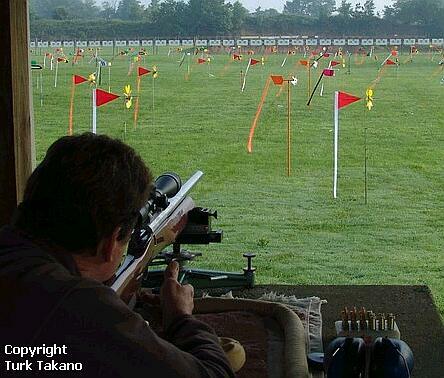 Share the post "Video Highlights from 2008 'Steel Safari'"
Photo of Kelbly’s Range by Turk Takano, used by permission. Share the post "IBS 100/200 Benchrest National Championships, August 11-16"